Some of you may have read this last weekend’s blog, College Football: Pride & Joy of the South, and while we’re all excited about the season beginning, let’s not forget about that prideful week in the middle of the season, Bye Week. To the average-everyday person, who cares, but for us football fans it means HOLY CRAP MY FAVORITE TEAM ISN’T PLAYING THIS WEEKEND WHAT AM I GOING TO DO. For the football players, their families and their coworkers this is a prized week full of regeneration and relaxation where all parties involved can take a break from a daunting six-month, seven day a week schedule. This past year when I was with the Chiefs I flew home to none other than Pensacola Beach and man was I in for a treat! My advice to you for bye week: Do what the players do and relax, and what better place to do it than in the beautiful Pensacola Bay Area. My first stop anytime I’m in Pensacola is the beach. I’ve visited a lot of other beaches and somehow, they just don’t compare to ours. 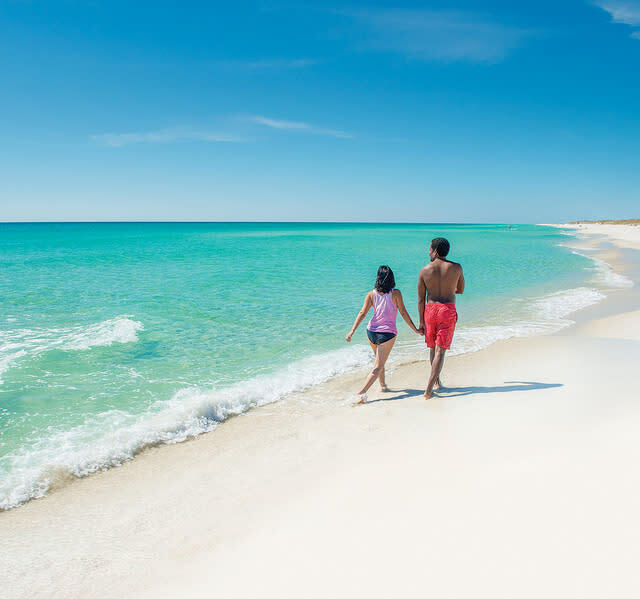 The wonderful thing about Pensacola Beach and Perdido Key is that there is something for everyone. Want to lay under an umbrella and tan all day? Got it! Picture yourself sipping a fruity cocktail by a pool? Almost every hotel and condo has one! Looking to explore? We have trails and historic forts all over the place! Want to get your adrenaline pumping? Rent a surfboard or try parasailing 400 feet above the water. To find your official beach vibe, click here to take the quiz. I’m no history buff, but a leisurely stroll through the Historic Pensacola Village is just what your soul may need. This sleepy little strip will remind you of simpler times and about just how good we have it. Experience live history demonstrations as villagers wash clothes, cook and make candles. If you’re looking to get your fill of Florida, there’s a sweet little orange tree at the end of the block that is perfect for pictures. 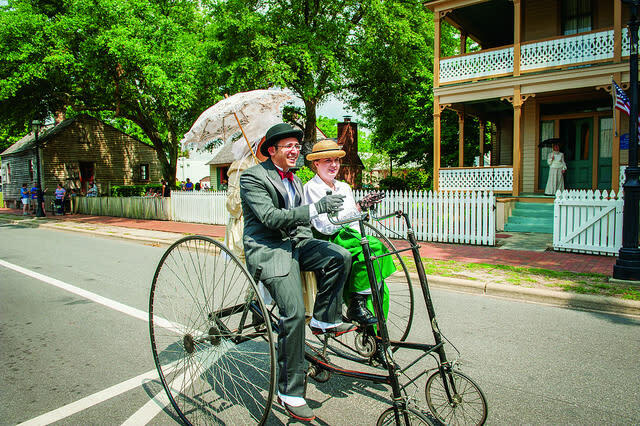 To learn more about the Historic Pensacola Village, click here. It’s a well-kept secret that fall is one of the best times of the year to visit a southern coastal city. Just as a light breeze begins to roll in, the crowds roll out and that’s when the festivities really start to heat up! It’s rare to find a weekend in the fall months where there isn’t something happening. If you’re a foodie, check out Taste of the Beach or Big Green Egg Fest, if you’re looking for culture you might opt for Foo Foo Festival, or if you’re here for the thrills, you can’t miss the Blue Angels Homecoming Air Show. 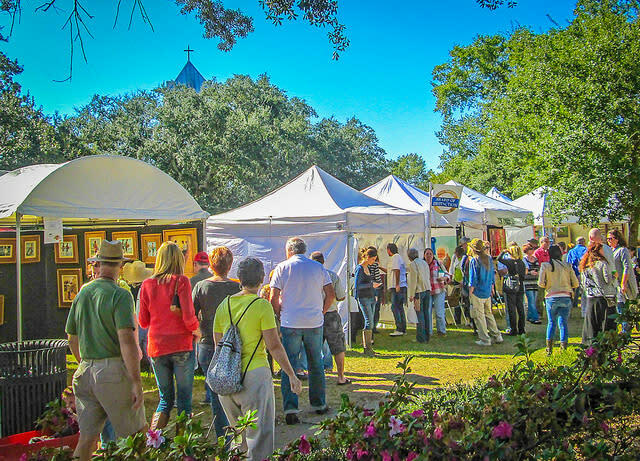 For a complete list of fall festivals, click here. Whether it’s sailing, swimming or surfing there’s something for everyone to enjoy in the emerald green waters of the Gulf of Mexico. If you’re a romantic looking for a stellar sunset, I’d recommend sailing. 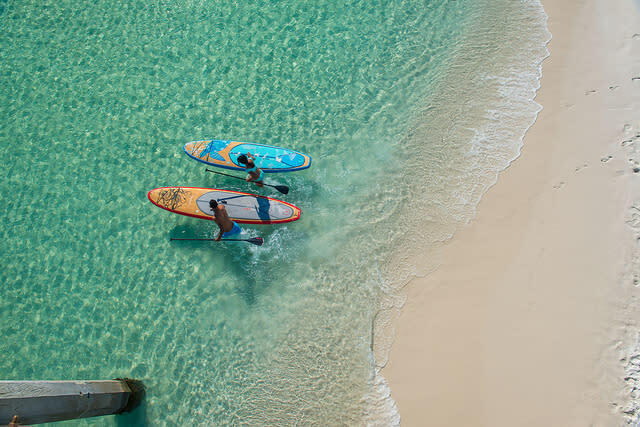 If you’re an adventurer looking to take on the day, I’d recommend either stand up paddle boarding, parasailing or surfing. For a complete list of water activities, click here. Since 1946, the Blue Angels squadron, the Navy&apos;s world-famous flight demonstration team that calls Pensacola home, has been exciting and surprising audiences with its impressive flight shows. What people don’t realize is that they practice most Tuesday’s and Wednesdays behind the National Naval Aviation Museum and it’s free, both the show and the museum! 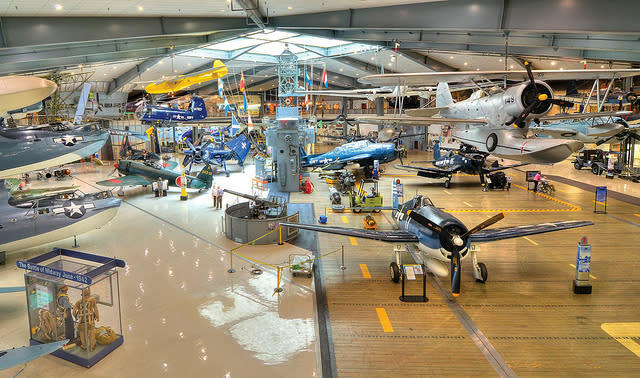 The National Naval Aviation Museum is the largest of its kind in the world and houses more than 150 aircraft. For a complete list of attractions at the museum, click here. Oysters, mullet, shrimp and grits, fried green tomatoes, the list goes on and on for the amazing food found in the Pensacola Bay Area. When I travel, I’m always looking for a cute café or diner to stop in for lunch that offers some of the great American staples (pizza, burgers, sandwiches). I find by doing this you experience some of the local cultures and you usually save a few dollars as well. 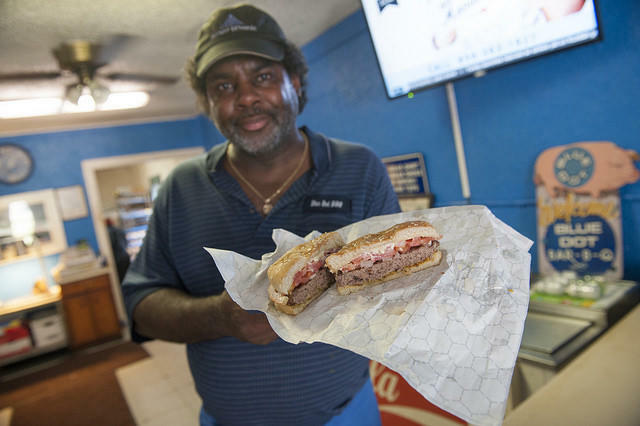 For our list of local staples, click here.